8 Passenger people mover that gives everyone room while still offering excellent space for your stuff! Here is a 2016 Toyota Sienna SE Van with 38,618 miles that we've added and have now made it available to our online guests! With fewer and fewer choices in the market today, the Sienna remains the top choice for families who need the extra room, but don't want to invest in a large SUV. Number one for all the right reasons, **This is a TOYOTA CERTIFIED PRE-OWNED VEHICLE WITH A 7 YR./100,000 MILE LIMITED POWERTRAIN WARRANTY, a 12 month/12,000 mile comprehensive Platinum Coverage, and 1 year Unlimited Mileage Roadside Assistance! ** All Toyota Certified Preowned vehicles are required to go through a rigorous 160 point inspection and have a Clean Carfax Vehicle History Report.KEY POINTS ABOUT THIS SIENNAThe Super White exterior is attractive and Its high gloss finish mimics a mirror and it is really difficult to find flaws in its appearance. For both driving control and passenger comfort, we have installed 4 BRAND NEW TIRES. Motivating this Sienna is a 3.5L V6 engine together with a 6-speed electronically controlled automatic transmission providing smooth performance and respectable fuel mileage ratings. The most important feature here is the ability to carry 8 Passengers in comfort and also offer options for cargo room when needed. Overall, the interior is clean and very well kept! This Sienna is the SE trim, a sporty outfitting of this van. The SE trim specifically adds or replaces with Push Starting System, smart key system on all doors, illuminated entry and touch-sensor lock/unlock feature, Lane Change Assist, Power Tilt & Slide Moonroof. Our pre-owned vehicles sell very quickly, so call (888) 458-1293, email, or click to chat from our dealership website's homepage to get more information on this 2016 Toyota Sienna SE or to set up an appointment for your test drive. Sporty and sharp looking inside and out! This is a 2016 Toyota Corolla S Plus with 46,049 miles that is a recent one owner vehicle in excellent condition you'll want to make your own very soon. Bigger with more interior space than previous versions, this modern vehicle offer excellent safety rating and features as well as smooth performance. **This is a TOYOTA CERTIFIED PRE-OWNED VEHICLE WITH A 7 YR./100,000 MILE LIMITED POWERTRAIN WARRANTY, a 12 month/12,000 mile comprehensive Platinum Coverage, and 1 year Unlimited Mileage Roadside Assistance! ** All Toyota Certified Preowned vehicles are required to go through a rigorous 160 point inspection and have a Clean Carfax Vehicle History Report.KEY POINTS ABOUT THIS COROLLAThe interior color is Black, is cloth material, and very clean!One of the best safety improvements the Corolla has is the rear backup camera with in-dash display, adding to your visibility and aiding in backing into a parking spot.With a 5 Stars Government Safety Rating, you know your family is travelling in a well-built, protective vehicle.The S trim is the sporty trim in the Corolla lineup and the Plus means that there's added 17-inch alloy wheels, a firmer suspension, and rear disc brakes instead of the standard drum.Everything about is car is factory original, including the paint & body.The tires have all been carefully inspected and passed Toyota's tough certification requirements for tread depth and tread pattern wear.Helping you get where you need to is a 1.8L 4-cyl. engine that returns impressive EPA fuel ratings of 29 MPG in the city and 37 MPG on the highway.Our pre-owned vehicles sell very quickly, so call (888) 458-1293, email, or click to chat from our dealership website's homepage to get more information on this 2016 Toyota Corolla S Plus or to set up an appointment for your test drive. Recent exterior design update, better interior quality and features, same reliability you've come to know and trust! Thank you for looking at this 2017 Toyota Camry SE that has 39,742 miles and is a one owner sedan. Getting the most out of your dollars is more important than ever and the 2017 Camry offers value in cost of ownership, resale, and overall reliability. **This is a TOYOTA CERTIFIED PRE-OWNED VEHICLE WITH A 7 YR./100,000 MILE LIMITED POWERTRAIN WARRANTY, a 12 month/12,000 mile comprehensive Platinum Coverage, and 1 year Unlimited Mileage Roadside Assistance! ** All Toyota Certified Preowned vehicles are required to go through a rigorous 160 point inspection and have a Clean Carfax Vehicle History Report.KEY POINTS ABOUT THIS CAMRYThe exterior color is Predawn Gray Mica which is all factory original and still has that showroom shine.For safety and comfort, we have installed 4 BRAND NEW TIRES!! Rated by the EPA at 35 MPG on the highway, the 2.5L engine ranks among the top tier in fuel mileage for this classification.The interior is well designed, open and comfortable for up to 5 passengers.The seats and carpets are color-matched and in excellent condition.Everything here is standard equipment from the factory, this includes the backup camera with in-dash monitor.This is the SE trim, considered to be the most sporty of all the trims offered with the 2017 Camry. Its suspension is sport tuned, has unique exterior and interior styling elements, a leather trimmed steering wheel, plus 17-inch alloy wheels.Our pre-owned vehicles sell very quickly, so call (888) 458-1293, email, or click to chat from our dealership website's homepage to get more information on this 2017 Toyota Camry SE or to set up an appointment for your test drive. There is a lot to love about is one owner SUV! Here is a 2017 Toyota Rav4 XLE with 29,230 miles which we've made ready for immediate departure to a new owner. The Rav4 offers good interior cargo and seating for up to 5 passengers. **This is a TOYOTA CERTIFIED PRE-OWNED VEHICLE WITH A 7 YR./100,000 MILE LIMITED POWERTRAIN WARRANTY, a 12 month/12,000 mile comprehensive Platinum Coverage, and 1 year Unlimited Mileage Roadside Assistance! ** All Toyota Certified Preowned vehicles are required to go through a rigorous 160 point inspection and have a Clean Carfax Vehicle History Report.KEY POINTS ABOUT THIS RAV4The exterior is Barcelona Red that really doesn't show any blemishes and is in very good condition! The paint and body are all factory original and the clean Carfax Report bears that out. All four tires show excellent tread and even wear and appear to be the factory installed tires. The 2.5L 4-cyl. engine is strong & capable with EPA fuel ratings or 24 MPG in the city and 31 MPG on the highway. Inside features an array of goodies and options you'll be pleased to have and use. Starting with the power sunroof w/tilt feature, a power opening and closing rear hatch, and backup camera. The cloth seats are all in excellent condition with just a bare minimum of wear. With the folding rear seat available to increase the available cargo area, toting large or bulky items is fairly easy to do. Our pre-owned vehicles sell very quickly, so call (888) 458-1293, email, or click to chat from our dealership website's homepage to get more information on this 2017 Toyota Rav4 XLE or to set up an appointment for your test drive. Masterfully sculpted, legendary reliability, economically practical. Here is a 2018 Toyota Camry SE with only 13,908 miles that is a one owner trade you may just need to make yours right now. Toyota has been updating their lineup over the past several years, and this recent offering of the Camry is probably their best ever in terms of design, safety, performance, and overall value. **This is a TOYOTA CERTIFIED PRE-OWNED VEHICLE WITH A 7 YR./100,000 MILE LIMITED POWERTRAIN WARRANTY, a 12 month/12,000 mile comprehensive Platinum Coverage, and 1 year Unlimited Mileage Roadside Assistance! ** All Toyota Certified Preowned vehicles are required to go through a rigorous 160 point inspection and have a Clean Carfax Vehicle History Report.KEY POINTS ABOUT THIS CAMRYThis is the SE trim, which offers upgraded interior fabric and exterior body spoilers for a more sporty look and feel. Powered by a tried and true 2.5L 4-cyl. engine and an 8-speed automatic transmission that received an EPA fuel rating of 39 MPG on the highway!Very little wear inside or out; still has that new car feel about it.The Celestial Silver exterior still has that showroom shine and is attractive day or night.All four tires are the factory originals, still have plenty of tread, and show even wear across the tread pattern.Window tint has been added to reduce glare and help control interior temperatures as the afternoon sun blazes in. Critically touted as one of the most outstanding vehicles in its classification. Our pre-owned vehicles sell very quickly, so call (888) 458-1293, email, or click to chat from our dealership website's homepage to get more information on this 2018 Toyota Camry SE or to set up an appointment for your test drive. It's been one of the most popular three row SUVs for years, and there is good reasons why! Here is a 2018 Toyota Highlander LE AWD with 38,040 miles which is a two owner vehicle that is ready and waiting for you. This current rendition of the Highlander not only sports updated exterior sculpting, but more supple interior materials and more modern features than ever before. **This is a TOYOTA CERTIFIED PRE-OWNED VEHICLE WITH A 7 YR./100,000 MILE LIMITED POWERTRAIN WARRANTY, a 12 month/12,000 mile comprehensive Platinum Coverage, and 1 year Unlimited Mileage Roadside Assistance! ** All Toyota Certified Preowned vehicles are required to go through a rigorous 160 point inspection and have a Clean Carfax Vehicle History Report.KEY POINTS ABOUT THIS HIGHLANDERThis is the LE trim, the first of four offerings. As such, standard features include 18-inch alloy wheels, automatic headlights, heated exterior mirrors, a rear spoiler, cruise control, a rearview camera, a height-adjustable driver seat, a sliding and reclining 60/40-split second-row seat, a 60/40-split third-row seat, Bluetooth phone and audio connectivity, a 6.1-inch central touchscreen and a six-speaker CD sound system with an auxiliary audio jack and an iPod/USB interface.The interior with seat up to 8 passengers or fold down the back two rows for over 83 cubic feet of cargo room inside.The exterior color is Celestial Silver Metallic and shows almost no signs of use other than minor, yet normal blemishes.The tires appear to be the originals and have very good tread with a solid road feel.Powering this Highlander is the 3.5L 6-cyl engine pared to a 8-speed automatic transmission. Together the pair delivers 295 HP & 263 lb-ft. of torque and an EPA fuel rating of 26 MPG on the highway.Our pre-owned vehicles sell very quickly, so call (888) 458-1293, email, or click to chat from our dealership website's homepage to get more information on this 2018 Toyota Highlander LE AWD or to set up an appointment for your test drive. Fully re-designed for 2016, this 'King of the Hill' in mid-sized pickups upped it's game and has become entrenched on top of the competition with fresh looks and power! Here is a 2016 Toyota Tacoma SR5 Double Cab V6 with 28,552 miles. If you want a tough pickup without the need for a full-sized truck, the Tacoma has been the go-to option for close to two decades. Not only does this Tacoma still have the remaining balance of the Factory 3 year/36,000 mile Bumper-to-Bumper Warranty, but **This is a TOYOTA CERTIFIED PRE-OWNED VEHICLE WITH A 7 YR./100,000 MILE LIMITED POWERTRAIN WARRANTY, a 12 month/12,000 mile comprehensive Platinum Coverage, and 1 year Unlimited Mileage Roadside Assistance! ** All Toyota Certified Preowned vehicles are required to go through a rigorous 160 point inspection and have a Clean Carfax Vehicle History Report.KEY POINTS ABOUT THIS TACOMAAll Tacoma's share the same ride height; so even the most basic of all Tacoma's can share extra clearance. This is the SR5 trim, probably the most popular outfitting of the Tacoma. With it you get 16-inch alloy wheels, a cargo bed rail system with fixed and adjustable tie-downs, a bedliner, a sliding rear window, full power accessories (windows, locks and mirrors), air-conditioning, a tilt-and-telescoping steering wheel with audio controls, a GoPro windshield mount, a rearview camera, Bluetooth phone and audio connectivity, voice controls, Siri Eyes Free (for Apple phones), a 6.1-inch touchscreen interface and a six-speaker audio system with a CD player, a USB port and an auxiliary audio jack, plus foglights, chrome exterior accents, variable intermittent wipers, rear privacy glass, a color trip computer, a leather-wrapped steering wheel with phone and audio controls, satellite radio and the Scout GPS Link navigation app (requires a compatible smartphone). The power is provided by a 3.5L 6 cyl. engine matched with a 6-speed automatic and it's rated for 24 MPG on the highway and has a tow rating of up to 6,800 when properly equipped. Both inside and out, this truck has very little wear and would be a great addition to any driveway! Our pre-owned vehicles sell very quickly, so call (888) 458-1293, email, or click to chat from our dealership website's homepage to get more information on this 2016 Toyota Tacoma SR5 Double Cab V6 or to set up an appointment for your test drive. Perfect small sedan for the new driver, student, or just to have for lowering your fuel expenses. You are viewing our 2016 Toyota Corolla L with 54,450 miles that is now ready for you. This is a local trade and has given it's previous owners solid performance mile after mile. **This is a TOYOTA CERTIFIED PRE-OWNED VEHICLE WITH A 7 YR./100,000 MILE LIMITED POWERTRAIN WARRANTY, a 12 month/12,000 mile comprehensive Platinum Coverage, and 1 year Unlimited Mileage Roadside Assistance! ** All Toyota Certified Preowned vehicles are required to go through a rigorous 160 point inspection and have a Clean Carfax Vehicle History Report.KEY POINTS ABOUT THIS COROLLAThe exterior color is Black Sand Pearl and shows well, daytime or night.The tires look to have been recently replaced, with plenty of tread, ready to help you get where you need and want to go.As with all Corolla's, this one employs a 1.8L Inline 4-cyl. engine that impresses with EPA fuel ratings of 26 MPG in the city and 34 MPG on the highway.The interior is Steel Gray colored and besides normal wear, in is fine shape.There aren't too many frills on this sedan, just power windows, locks, mirrors, but that makes it perfect for someone who may be new to driving, someone looking for a second vehicle, or as a commuter car.This Corolla does have the factory installed keyless entry, one FOB, as an added feature.Our pre-owned vehicles sell very quickly, so call (888) 458-1293, email, or click to chat from our dealership website's homepage to get more information on this 2016 Toyota Corolla L or to set up an appointment for your test drive. Nice large sedan, upscale appointments, vigorous engine! Here is a 2015 Toyota Avalon XLE Touring SE with 43,574 miles we've just placed in our inventory for you and your family. When looking for a sedan that steps above the ordinary, but won't break your budget, the Avalon fills that niche quite nicely. 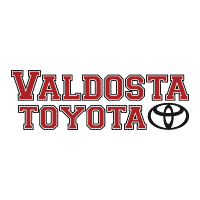 **This is a TOYOTA CERTIFIED PRE-OWNED VEHICLE WITH A 7 YR./100,000 MILE LIMITED POWERTRAIN WARRANTY, a 12 month/12,000 mile comprehensive Platinum Coverage, and 1 year Unlimited Mileage Roadside Assistance! ** All Toyota Certified Preowned vehicles are required to go through a rigorous 160 point inspection and have a Clean Carfax Vehicle History Report.KEY POINTS ABOUT THIS AVALONThe rather attractive exterior is called Attitude Black and shows only a minimal amount of blemishes such as road wear and scuffs, but is free from dents, scratches, and other value diminishing damage.We have installed TWO NEW TIRES and the other two tires appear to have have ample tread, a smooth and comfortable ride, plus are capable of providing excellent traction for most driving conditions.The 3.5L V6 engine is capable of 268 HP while still getting an EPA fuel estimated 31 MPG on the highway!The interior starts with Black Leather seating with the front seats being heated.Audio controls on the steering wheel, a pass-through rear seat, dual power front seats just set the stage for an enjoyable experience.The Touring trim level adds 18-inch wheels, foglights, driver memory settings, blind spot monitoring, rear cross-traffic alert and Toyota's Entune Premium Audio with Navigation and App Suite, which includes a nine-speaker audio system, a 7-inch touchscreen display, a navigation system and smartphone app integration.To the XLE Touring, the XLE Touring Sport adds black-painted alloy wheels, xenon headlights and perforated leather upholstery with dark blue piping With wood trimmed accents and higher quality materials employed throughout the cabin, one might argue that the Avalon was more in line with other luxury sedans.Our pre-owned vehicles sell very quickly, so call (888) 458-1293, email, or click to chat from our dealership website's homepage to get more information on this 2015 Toyota Avalon XLE Touring SE or to set up an appointment for your test drive. A nice addition to any family with an active lifestyle. This is a 2018 Toyota Rav4 LE with only 34,455 miles which we've made ready for immediate departure to a new owner. As one of the most popular small SUVs on the market, this vehicle offers great performance and space options to those that already have one. **This is a TOYOTA CERTIFIED PRE-OWNED VEHICLE WITH A 7 YR./100,000 MILE LIMITED POWERTRAIN WARRANTY, a 12 month/12,000 mile comprehensive Platinum Coverage, and 1 year Unlimited Mileage Roadside Assistance! ** All Toyota Certified Preowned vehicles are required to go through a rigorous 160 point inspection and have a Clean Carfax Vehicle History Report.KEY POINTS ABOUT THIS RAV4The exterior is Galactic Aqua Mica and should be considered to be in very good condition!The 2.5L 4-cyl. engine is strong & capable with EPA fuel ratings or 24 MPG in the city and 31 MPG on the highway.Inside features an array of standard features you'll be pleased to have and use, including the rear backup camera with in-dash display.The 2018 RAV4 gains a host of driver assistance features as standard equipment, including a forward collision mitigation system, lane departure warning, automatic high beams and adaptive cruise. The cloth seats are all in excellent condition with no wear anyplace in the cabin.With the folding rear seat available to increase the available cargo area, toting large or bulky items is fairly easy to do.As an additional bonus, this Rav4 also has a retractable and stowable soft tonneau cover for the rear cargo area to protect items from the sun and prying eyes.Our pre-owned vehicles sell very quickly, so call (888) 458-1293, email, or click to chat from our dealership website's homepage to get more information on this 2018 Toyota Rav4 LE or to set up an appointment for your test drive. A great family vehicle when you need extra room for the family and cargo, yet don't need a full-sized SUV. Here is a 2016 Toyota Rav4 LE AWD with 24,685 miles which is a one owner trade that also has a spotless Carfax Vehicle History Report. As the demands of your family change, this vehicle offers versatility and comfort, with the styling and reliability that you need. **This is a TOYOTA CERTIFIED PRE-OWNED VEHICLE WITH A 7 YR./100,000 MILE LIMITED POWERTRAIN WARRANTY, a 12 month/12,000 mile comprehensive Platinum Coverage, and 1 year Unlimited Mileage Roadside Assistance! ** All Toyota Certified Preowned vehicles are required to go through a rigorous 160 point inspection and have a Clean Carfax Vehicle History Report.KEY POINTS ABOUT THIS RAV4Inside features an array of standard features you'll be pleased to have and use, including the rear backup camera with in-dash display. The cloth seats are all in excellent condition with just a bare minimum of wear. With the folding rear seat available to increase the available cargo area, toting large or bulky items is fairly easy to do. This Rav4 also has a complete set of owners manuals and 2 keys! The exterior is Super White and other that a few minor marks, is in very good condition! The tires appear to be the factory originals, showing excellent tread. The 2.5L 4-cyl. engine is strong & capable with EPA fuel ratings or 24 MPG in the city and 31 MPG on the highway. Our pre-owned vehicles sell very quickly, so call (888) 458-1293, email, or click to chat from our dealership website's homepage to get more information on this 2016 Toyota Rav4 LE or to set up an appointment for your test drive. New design, same quality and durability you expect. Thank you for viewing our 2018 Toyota Camry L with 18,477 miles which is a one owner vehicle we have now added to our inventory. Some things improve with age and the 2018 Camry proves that while this sedan has been in the market place for over 30 years, it's the best Camry to ever grace the roads. **This is a TOYOTA CERTIFIED PRE-OWNED VEHICLE WITH A 7 YR./100,000 MILE LIMITED POWERTRAIN WARRANTY, a 12 month/12,000 mile comprehensive Platinum Coverage, and 1 year Unlimited Mileage Roadside Assistance! ** All Toyota Certified Preowned vehicles are required to go through a rigorous 160 point inspection and have a Clean Carfax Vehicle History Report.KEY POINTS ABOUT THIS CAMRYSome of the key differences for this new design include a longer wheelbase, sleeker styling and a revised rear suspension geometry. Stepping away from the old rear strut suspension, the new Camry now boasts a double wishbone rear suspension which offers a more refined ride and additional trunk and rear seat room. The new exterior always has a contemporary look with sleek lines and lower profile. The all-new 2.5-liter four-cylinder base engine makes 203 horsepower while getting an EPA estimated fuel mileage of 41 MPG on the highway. The tires are the factory originals and the Celestial Silver Metallic paint and body still have that showroom glow! The interior is much more comfortable, with new materials and layout. The most impressive safety feature on this new Camry has to be the standard inclusion of the Toyota Safety Sense-P, which means that all 2018 Camry's will have traffic-adapting cruise control, automatic emergency braking in case of an imminent forward collision, lane departure warning and mitigation, and auto-dimming LED headlights. Our pre-owned vehicles sell very quickly, so call (888) 458-1293, email, or click to chat from our dealership website's homepage to get more information on this 2018 Toyota Camry L or to set up an appointment for your test drive. Classic looking exterior paint, recently redesigned, and a legacy of value and reliability. Thank you for looking at this 2017 Toyota Camry SE that has 17,069 miles and is a one owner sedan. Getting the most out of your dollars is more important than ever and the 2017 Camry offers value in cost of ownership, resale, and overall reliability. **This is a TOYOTA CERTIFIED PRE-OWNED VEHICLE WITH A 7 YR./100,000 MILE LIMITED POWERTRAIN WARRANTY, a 12 month/12,000 mile comprehensive Platinum Coverage, and 1 year Unlimited Mileage Roadside Assistance! ** All Toyota Certified Preowned vehicles are required to go through a rigorous 160 point inspection and have a Clean Carfax Vehicle History Report.KEY POINTS ABOUT THIS CAMRYThe exterior color is Ruby Flare Pearl which is all factory original and still has that showroom shine.The tires have been inspected for tread depth and wear, passing Toyota's Certification requirements easily.Rated by the EPA at 35 MPG on the highway, the 2.5L engine ranks among the top tier in fuel mileage for this classification.The interior is well designed, open and comfortable for up to 5 passengers. The seats and carpets are color-matched and in excellent condition.It also has added window tint to help control glare and temperature.Everything here is standard equipment from the factory, this includes the backup camera with in-dash monitor.This is the SE trim, considered to be the most sporty of all the trims offered with the 2017 Camry. It's suspension is sport tuned, has unique exterior and interior styling elements, a leather trimmed steering wheel, plus 17-inch alloy wheels.Our pre-owned vehicles sell very quickly, so call (888) 458-1293, email, or click to chat from our dealership website's homepage to get more information on this 2017 Toyota Camry SE or to set up an appointment for your test drive. Nice large sedan, upscale appointments, vigorous engine! Here is a 2015 Toyota Avalon XLE Touring with 42,234 miles we've just placed in our inventory for you and your family. When looking for a sedan that steps above the ordinary, but won't break your budget, the Avalon fills that niche quite nicely. **This is a TOYOTA CERTIFIED PRE-OWNED VEHICLE WITH A 7 YR./100,000 MILE LIMITED POWERTRAIN WARRANTY, a 12 month/12,000 mile comprehensive Platinum Coverage, and 1 year Unlimited Mileage Roadside Assistance! ** All Toyota Certified Preowned vehicles are required to go through a rigorous 160 point inspection and have a Clean Carfax Vehicle History Report.KEY POINTS ABOUT THIS AVALONThe exterior color is Magnetic Gray Metallic and show just normal road use, minor scuffs, but it free from dents or damage All four tires appear to have have ample tread, a smooth and comfortable ride, plus are capable of providing excellent traction for most driving conditions. The 3.5L V6 engine is capable of 268 HP while still getting an EPA fuel estimated 31 MPG on the highway! The interior starts with Black Leather seating with the front seats being heated. Audio controls on the steering wheel, a pass-through rear seat, dual power front seats just set the stage for an enjoyable experience. The Touring trim level adds 18-inch wheels, foglights, driver memory settings, blind spot monitoring, rear cross-traffic alert and Toyota's Entune Premium Audio with Navigation and App Suite, which includes a nine-speaker audio system, a 7-inch touchscreen display, a navigation system and smartphone app integration. Our pre-owned vehicles sell very quickly, so call (888) 458-1293, email, or click to chat from our dealership website's homepage to get more information on this 2015 Toyota Avalon XLE Touring or to set up an appointment for your test drive. Excellent vehicle for everyday use, whether it be short stretches inside the urban juggernaut or long stretches on the open road. Thank you for viewing this 2015 Toyota Corolla LE with 33,898 miles that is now ready for a new mission. As the best selling compact sedan of all time, the Corolla has a reputation of reliability, durability, and excellent fuel ratings! **This is a TOYOTA CERTIFIED PRE-OWNED VEHICLE WITH A 7 YR./100,000 MILE LIMITED POWERTRAIN WARRANTY, a 12 month/12,000 mile comprehensive Platinum Coverage, and 1 year Unlimited Mileage Roadside Assistance! ** All Toyota Certified Preowned vehicles are required to go through a rigorous 160 point inspection and have a Clean Carfax Vehicle History Report.KEY POINTS ABOUT THIS COROLLAThe exterior color is called Slate Metallic, basically gray, and other than minor, yet normal scuffs, has an excellent finish and eye appeal.The tires are loaded with tread and look to be more than able to handle most on road driving conditions.All 2015 Toyota Corolla LE models have a 1.8L 4--cyl. engine employed and this one has a CVT automatic transmission for ultra-smooth performance throughout the entire speed range.As mentioned above, excellent EPA fuel ratings are one of the corner stones of the Corolla's success, this model year, getting up to 38 MPG on the highway!The interior color is listed as Ivory, which is a shade of tan, and besides minor stains, are all in good condition with normal wear.Being a full 3 longer and wider than previous models, the Corolla now has more rear interior leg room than ever before!The LE trim comes standard with all power equipment and adds a backup camera with in-dash monitor as standard. Our pre-owned vehicles sell very quickly, so call (888) 458-1293, email, or click to chat from our dealership website's homepage to get more information on this 2015 Toyota Corolla LE or to set up an appointment for your test drive. A new model that offers many of the conveniences of an SUV, but in a smaller package. Here is a 2018 Toyota C-HR XLE with 29,449 miles that is a one owner trade. With so few miles on this C-HR, it's just like brand new and even still has all of the remaining factory warranty! Even better, **This is a TOYOTA CERTIFIED PRE-OWNED VEHICLE WITH A 7 YR./100,000 MILE LIMITED POWERTRAIN WARRANTY, a 12 month/12,000 mile comprehensive Platinum Coverage, and 1 year Unlimited Mileage Roadside Assistance! ** All Toyota Certified Preowned vehicles are required to go through a rigorous 160 point inspection and have a Clean Carfax Vehicle History Report.KEY POINTS ABOUT THIS C-HRThe styling of the C-HR is a result of the Scion heritage, but it still has that uniquely Toyota branding. It is offered in only two trims, with the XLE being the first tier.Standard features on the XLE include 18-inch wheels, automatic headlights with automatic high-beam control, LED daytime running lights, a rear spoiler, remote locking and unlocking, a driver information display, adjustable driving modes, a rearview camera, an auto-dimming rearview mirror, a leather-wrapped steering wheel, dual-zone automatic climate control, height-adjustable front seats, a 60/40-split rear seat, a cargo cover, a 7-inch touchscreen, Bluetooth, and a six-speaker audio system with HD radio and a USB port.Several advanced safety and convenience features are also standard, including traffic-adapting cruise control, brake hold at stoplights, forward collision warning with automatic emergency braking, and lane departure warning and intervention. The exterior color on this vehicle is called Magnetic Gray Metallic and shows no wear or tear. The tires are awesome, showing very good remaining tread and even wear. Powering this and every 2018 Toyota C-HR is a 2.0L 4-cyl. engine working with a CVT automatic transmission. Together, they offer 144 HP and an EPA fuel rating of 31 MPG on the highway. The Black cloth interior is in top shape and offers seating for up to 5 passengers. Being a smaller crossover, there is limited storage, but with the rear seats folded, the C-HR offers up to 36.4 cu-ft. of cargo room. Our pre-owned vehicles sell very quickly, so call (888) 458-1293, email, or click to chat from our dealership website's homepage to get more information on this 2018 Toyota C-HR or to set up an appointment for your test drive.